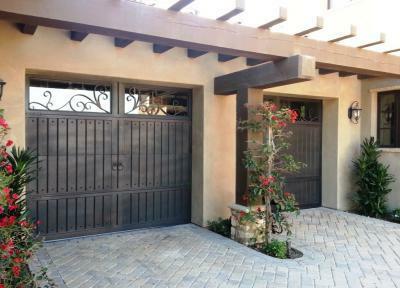 Signature Iron Doors builds the highest quality Iron Garage Doors in America. This is a recent install that we have done in North Scottsdale. We believe in doing things right from the start, and that every job worth doing is worth doing right. Our process begins with innovative engineering, we then apply the engineering ensuring that fabrication meets the intent of our design. As the fabrication is complete we apply a hand faux finish giving your new Iron Garage Door its final appearance. We pride ourselves in the number of people who trust in us with their homes. We service all of the Phoenix Valley from Scottsdale to Mesa to Chandler. Feel free to call us for a free design consultation or feel free to come by our showroom here in Phoenix. We also ship to the entire USA!